A New York Times-bestselling author's moving novel about an astronaut returning to Earth, and the small steps and giant leaps love requires. Richard Baedecker thinks his greatest challenge was walking on the moon, but then he meets a mysterious woman who shows him his past. Join Baedecker as he comes to grips with the son and wife he lost owing to his passion for space exploration, his forgotten childhood, and the loss he experienced during the deadly flight of the Challenger. The most difficult exploration of his life is not the cold, rocky crevices of the moon, but the warm interior of his heart. Brilliant and beautifully written, Phases of Gravity is a masterpiece about love and loss that transports readers far beyond the confines of space and time. 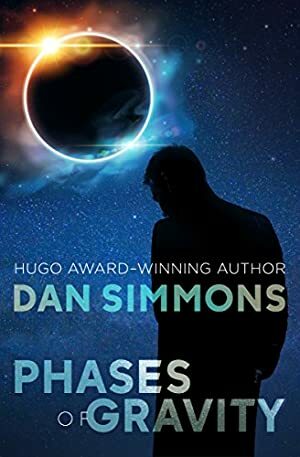 Phases of Gravity is a thoughtful, deeply involving novel from an author who has earned numerous honors, including the World Fantasy Award for Song of Kali and the Hugo Award for Hyperion. We started tracking this book on April 2, 2014. The price of this book has changed 23 times in the past 1,847 days. The lowest price to date was $1.99 last reached on November 30, 2015. The highest price to date was $11.19 last reached on August 16, 2017. This book has been $11.19 one time since we started tracking it.